The activity of the department is aimed at the organization of original and elite seed production of grain, leguminous plants and cereals. 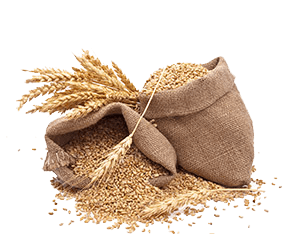 Scientific activity - is aimed at the implementation of a number of scientific and technical programs related to the improvement of the cultivation of grain, leguminous and cereal crops adapted to the conditions of the Vitebsk region. introduction of varieties of grain and leguminous crops with high productivity, resistance to diseases and pests and the development of effective technologies for their cultivation and seed production. Yaddisya (EE “Grodno State Agrarian University”) has been included in the State Register since 2009. Zoned in the republic. The variety belongs to the group of medium late varieties and easily tolerates the winter period. It is a short stem culture resistant to lodging. The degree of susceptibility to leaf diseases is weak. With the appropriate technology of cultivation, its yield reaches 120 kg / ha. The average mass of 1000 seeds is 45.1 g. The average protein content is 13.1%, gluten is 29%. Bakery grade 4.2 points. 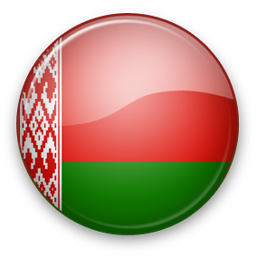 Elegy (RUE “Scientific – Practical Center of the National Academy of Sciences of Belarus for Agriculture”) has been included in the State Register since 2011. Zoned in the republic. The variety is mid-season, the average yield is 71.1 c / ha. the variety is resistant to lodging, is relatively resistant to drought, has good winter hardiness. The mass of 1000 seeds is 40.2 grams. Vitreousness of grain is 65%. The average protein content in grains is 12.3%, gluten content is 23.3%. Baking qualities are good, total baking grade is 4.9 points. Impulse (RUE “Scientific and Practical Center of the National Academy of Sciences of Belarus for Agriculture”) Included in the State Register since 2009. Zoned in the republic. Winter-hardy variety with good resistance to drought, lodging is relatively resistant. The average yield is 79.1 c / ha. The degree of damage by snow mold is low. The average weight of 1000 seeds is 41.9 g. The average protein content is 11.7%, starch 64.7%. Variety of grain feed direction. Zitseni (EE “Grodno State Agrarian University”) has been included in the State Register since 2007. Zoned in W, Gr, Um, Mg, Mn. areas. The average yield is 65.4 c / ha. Mid-season variety, has excellent winter hardiness and moderately resistant to lodging. Relatively drought tolerant. Weakly affected by snow mold, leaf diseases and root rot. The mass of 1000 seeds is 31.0-49.1 g. The protein content in the grain is 11.7%, starch – 64.6%, Gluten in the grain contains 11.7%. A variety of feed direction. Zazerskaya-3 (RUE “Scientific – Practical Center of the NAS of Belarus on Agriculture”) Included in the State Register since 2012. Zoned in W, Mg, Mn. areas. Mid-season variety. The average yield of 56.7 c / ha. 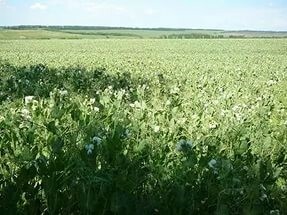 The average weight of 1000 seeds is 44.3 g. Winter hardiness is estimated at 4.5 points, resistance to lodging is 4.3 points. The variety is moderately resistant to snow mold. The average protein content is 12.3%. Baking quality satisfactory. Lyubava (Scientific and Practical Center for Agriculture of the National Academy of Sciences of Belarus). Included in the State Register since 2012. 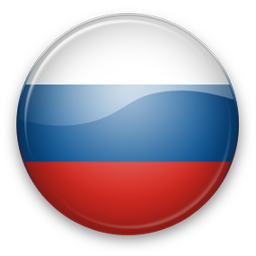 Zoned in the republic and in the Russian Federation. Mid-season variety. The average yield is 55.7 c / ha. Slightly susceptible to powdery mildew, septoria, poorly resistant to root rot. Resistance to lodging is estimated at 4.7 points. The mass of 1000 seeds is 36.4 grams, glassiness is 59%. The protein content in the grain is 14.2%, gluten 25.3%, and flour 31.1%. The overall assessment of the bread is 4.5 points. 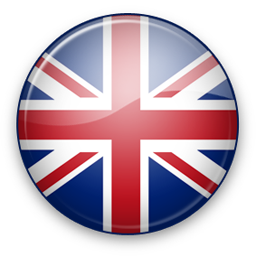 Included in the list of the most valuable varieties of quality. Laska (RUE “Scientific – Practical Center of the National Academy of Sciences of Belarus for Agriculture”). Included in the State Register since 2012. Zoned in the republic. Mid-season variety. The average yield is 75.3 c / ha. The variety is poorly susceptible to fungal diseases. The mass of 1000 grains averages 30.1 g (this is a fairly high figure). The protein content in the grain is 13.2%. When baking bread, the variety received a rating of 4.7 points. It consistently gives a 75% yield of flour containing gluten in flour 32% of the first, less often the second, quality group. Fest (RUE “Scientific – Practical Center of the National Academy of Sciences of Belarus for Agriculture”). Included in the State Register since 2012. Zoned in the republic. Medium late grade. The average yield is 54.8 c / ha. Short stem lodging resistant variety. Medium resistant to powdery mildew and net blotch. The grain is large. Resistance to lodging is 4.7 points, weight of 1000 seeds is 47 g, grain nature is 638 g / l, protein content in grain is 11.8%, vegetation period is 82 days. Aft use direction. Mogutni (RUE “Scientific – Practical Center of the National Academy of Sciences of Belarus for Agriculture”). Included in the State Register since 2011. Zoned in the republic. The early ripe grade, average productivity makes 63,0 c / hectare. lodging resistance is estimated at 4.0 points. Weakly susceptible to powdery mildew, stem rust, moderately susceptible to root rot. The vegetation period is 83 days. The mass of 1000 seeds is 46.8 grams. The average protein content in the grain is 12.4%. A variety of feed direction. Brovar (RUE “Scientific – Practical Center of the National Academy of Sciences of Belarus for Agriculture”). Included in the State Register since 2007. Zoned in the republic. The average yield is 63.8 c / ha. The variety is medium late, the growing season is 87-94 days. It has a high productive bushiness, large grain. Resistant to lodging (4.7 points), almost not affected by pests and diseases. The mass of 1000 seeds is 44.6- 48.2 grams. Brewing variety. The protein content in grain is 11.5%, fineness is 94%. Freestyle (RUE “Scientific – Practical Center of the National Academy of Sciences of Belarus for Agriculture”). Included in the State Register since 2014. Mid-season variety. average yield is 60.2 q / ha. The mass of 1000 seeds is 41.4 g, the grain nature is 456 g / l, filminess is 23.4%, the protein content in the grain is 11.7%. The variety is weakly susceptible to red-brown spot, moderately resistant to crown rust. Resistance to lodging is estimated at 4.4 points. 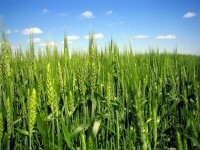 Included in the list of the most valuable varieties of grain crops. Zolak (Scientific and Practical Center of the National Academy of Sciences of Belarus for Agriculture). Included in the State Register since 2009. Zoned in the republic. The variety is mid-season. The average yield is 56.8 c / ha. The variety is resistant to lodging and to the defeat of fungal diseases. It has a very high bushiness. The mass of 1000 seeds averages 33.7 g, the nature of the grain is 483 g / l. The protein content is 11.8%, fat 4.0%. The low-film variety, on average, 22.2%, is distinguished by leveled stem and uniform ripening. Zazersky mustache (RUE “Scientific – Practical Center of the National Academy of Sciences of Belarus on Agriculture”). Included in the State Register since 2008. Zoned in the republic. The variety is medium early, fodder. The average grain yield is 34.2 c / ha. The mass of 1000 seeds is 230 g. The variety is distinguished by an even steblostoem. 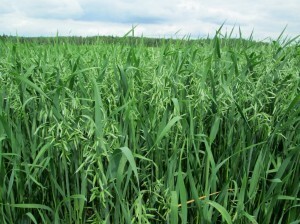 Suitable for feed purposes in grain mixtures, green fodder and hay. The protein content in the grain is 24.8%, in the dry matter is 18.5%. Calcium in the dry matter contains 1.12%, magnesium 0.25%. Armeets (Scientific and Practical Center for Agriculture of the National Academy of Sciences of Belarus). Included in the State Register since 2011. Zoned in Tues, Gr, Mg, Mn. areas. The variety is mid-season, fodder. 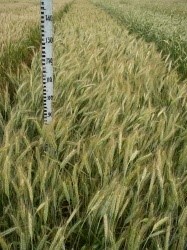 The average yield is 41.2 c / ha. 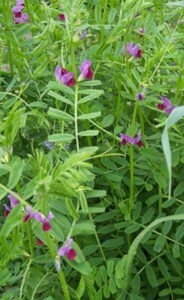 The variety is relatively resistant to lodging. Suitable for feed use in grain mixtures. The mass of 1000 seeds is 254 grams. The protein content in the grain is 21.8%. The dry matter of green mass contains 15.3% protein, 0.96% calcium, 0.21% magnesium, and 25.1% fiber. Collect protein per hectare 13.2 c.
Mila (RUE “Scientific – Practical Center of the National Academy of Sciences of Belarus for Agriculture”). Included in the State Register since 2004. Zoned in the republic. The variety is mid-season. The average yield is 19.2 c / ha, dry matter 61.4 c / ha. Grade of the grain direction of use. Differs in high foliage and intensive initial growth of plants. 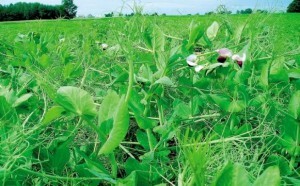 The variety is more large-leaved and large-seeded, characterized by uniform ripening of beans on the plant. The mass of 1000 seeds is 68.3 g. The protein content in the seeds is 34%, in the green mass – 20-22%. 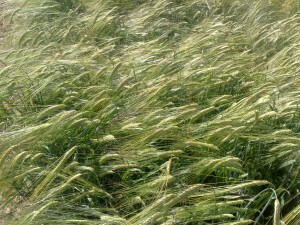 The growing season in the cultivation of grain on average is 90-100 days, for green mass – 51-56 days. The variety is relatively drought-resistant, but is sensitive to the lack of moisture in the bud-flowering phase. Ivushka (Scientific and Practical Center of the National Academy of Sciences of Belarus for Agriculture). Included in the State Register since 2008. Zoned in the republic. The average grain yield is 24.8 c / ha. The vegetation period for seeds is on average 91 days, for green mass – 47 days. 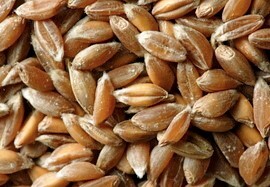 The protein content in the grain is 32.5%, the collection of protein per hectare is 8.2 q. In the green mass of the protein contains 22.0%, the collection of protein per hectare -11.8 c. Calcium content in green mass is 1.32%, magnesium – 0.31%. The mass of 1000 seeds is 67.7 g. The variety is recommended for cultivation in a mixture with spring grains or cruciferous crops, has an intensive initial growth of plants, is suitable for cultivation for grain and green mass. 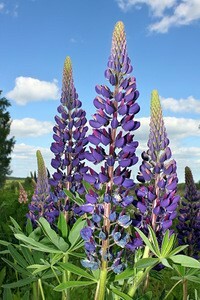 The variety is sensitive to lack of moisture in the period of budding-flowering. Zhodinsky (Scientific and Practical Center of the National Academy of Sciences of Belarus for Agriculture). Included in the State Register since 2010. Zoned in the republic. Grade grain direction. The average grain yield is 37.9 centners per hectare. The growing season for grain is on average 98 days. The content of crude protein in the grain is 33.6%. The mass of 1000 seeds on average is 159.1 g. The variety has a fast growth and development rate, it is sensitive to the lack of moisture during the budding and flowering period. The variety is suitable for mechanized harvesting by direct combining, it is resistant to lodging and seed spraying, has a high attachment of the lower beans. We are developing and improving the zone adaptive, resource-saving, environmentally friendly technologies of growing crops in the north-eastern part of the country. © 2019 Republican unitary enterprise "Vitebsk Zonal Institute of Agriculture of the National Academy of Sciences of Belarus"